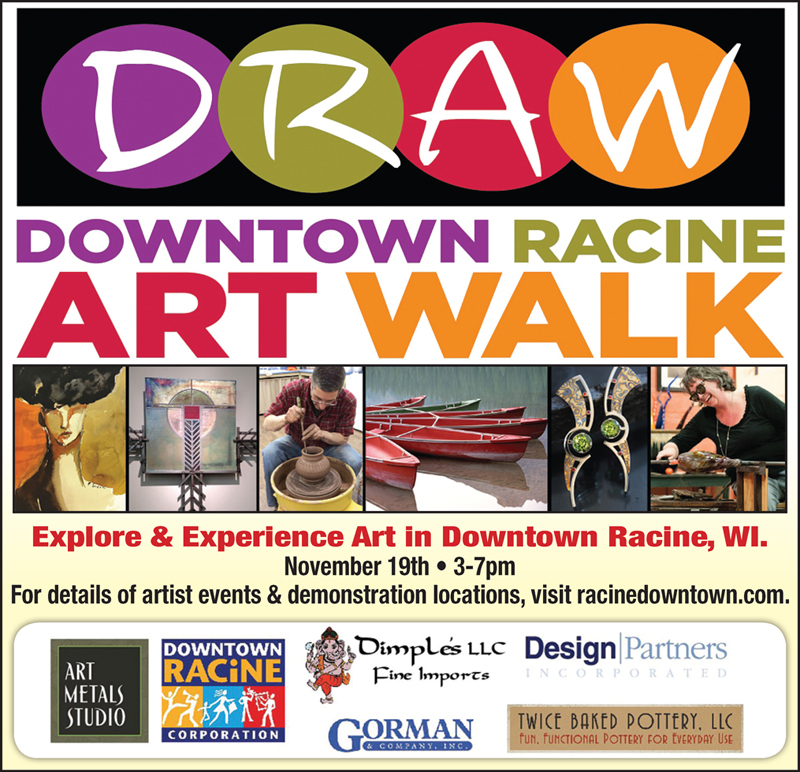 Downtown Racine Art Walk (DRAW) is taking place on Saturday, November 19th from 3-7pm. Downtown galleries, studios and shops welcome more than two dozen artists to showcase their talents! At Funky Hannah’s, we’ll be featuring stonework and jewelry by Kevin Stellman and demos by lampwork artist Fran Hahn.